Heroin in Philadelphia is a serious problem, which both the federal and state governments are working hard to fix. 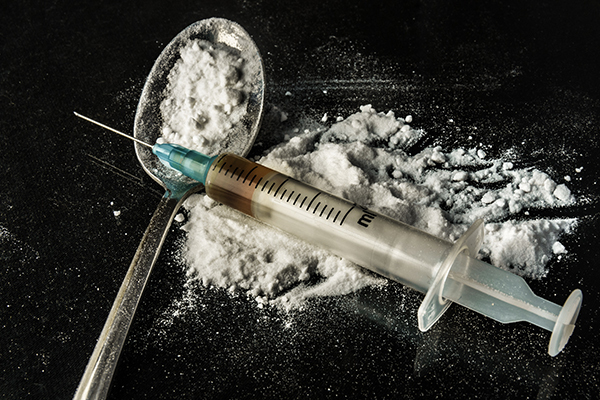 The law takes it so seriously, that even people in possession of paraphernalia, such as a spoon, lighter, and syringe, can receive a misdemeanor charge. As the quantity of the substance increases, the penalties do as well. This is a far cry from the early 1900s when Bayer manufactured and sold it as a pain reliever. As the story goes, scientists were attempting to create codeine from the poppy plant, which is also responsible for opium and morphine, when they created heroin instead. It can be as much as four-times stronger than morphine, and so Bayer reportedly named it after the German word “heroisch,” which loosely translates to heroically strong. However, it is difficult to create consistent strength, which also makes it one of the deadliest drugs there is. The federal government has classified it as a Schedule I controlled substance, and has assigned severe penalties for anyone with ties to it. Simply having one gram or less can result in a possession charge. One year in jail and as much as a $5,000 fine is possible, though the sentence and amount will vary based on a myriad of factors. A second offense may increase the time to two years, and a third to three years. Those who are found with more than one gram, but less than five grams, can expect a two-year sentence, even for a first-time offender. Naturally, the penalties are much greater for those who are believed to have manufactured or distributed the substance. It’s also worth noting that a criminal record can impact the rest of an individual’s life, long after his sentence is served. Employers and landlords often disqualify those with records, and certain rights, like the ability to vote, may be revoked. A competent heroin attorney, such as those we highlight on this website, have many options to help beat a heroin charge. Generally, a first line of defense is for the heroin lawyer to research the facts of your case and to determine if there was a violation of the your rights at any time during the process. If unlawful search and seizure occurred, a court may rule that any evidence gathered is inadmissible. Without evidence, a case usually falls apart and the charges are dropped. A skilled heroin lawyer may also be able to negotiate a lesser sentence when having the charges dropped is not possible. However, officials often begin building their case against an individual long before an arrest occurs. This means that the heroin attorney must begin work on a case promptly, so that he as a strategy to counter anything the prosecutor may try. Take a look through the profiles listed here, and begin scheduling no-obligation case evaluations with effective and experienced attorneys today.